I have friends who are always getting confused by the myriad of options they have to pick from when all they want to buy is just a good smartphone. They look at the sea of smartphones available and become overwhelmed. Then they call me and ask for my opinion. So today, I will be sharing the simple trick I use when making an electronic gadget purchase. Tech gadgets are always getting cheaper and slightly better. Notice the "slightly". In day-to-day use, Samsung S4 is almost not noticeably better than Samsung S3. Trust me; I use Samsung S2 and I'm a tech freak. I am yet to see a very useful feature S4 has that S2 doesn't have. Never buy the latest release. 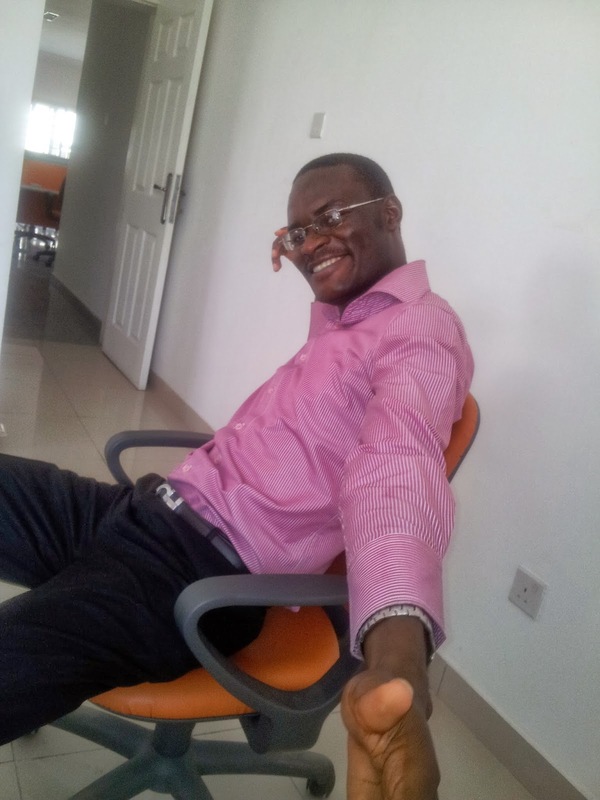 Remember when Blackberry Z10 and Q10 were selling for over N100k. Now you can get that same Z10 for N48k. And it's still 2013. Tecno is not cheaper than the iPhone. Surprised? But that's the truth. 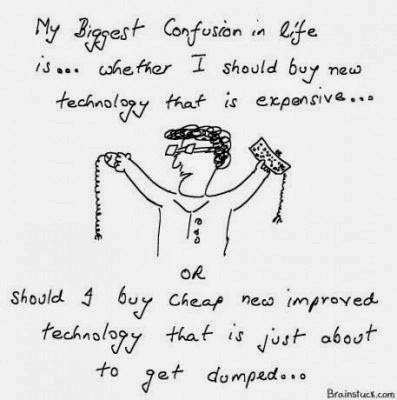 In the tech world, cheap is very expensive. You'll pay everyday for lack of ergonomics (ease-of-use) and it will always be a lousy partner in your life. It's just like comparing a NAPEP (Tricycle) to Toyota Camry. You are better off not having a car at all than having a Tricycle. Price is what you pay; value is what you get. Buy only devices from a quality brand -- Samsung, Apple, Sony and LG --- they have research centers that cost billions of dollar to run yearly. They give you the best, in value and user experience. If I'm on a budget, I'll buy a N10k Samsung phone and not a N10k Tecno phone that has everything. You don't need everything. I love the iPad. I like Samsung tablets. But I don't need them. I have never been in a situation where I was frustrated for not having an iPad. And that's how I know if I need a thing. My laptop is almost a carcass, since the motherboard died and I couldn't get another board in Computer Village, I bought a dead similar laptop with a working motherboard then I proceeded to do the biggest surgery I've ever done (actually, it was done by a great guy at Computer Village). I implanted my laptop screen, keyboard, hard-drive and RAM into the dead battered laptop. The screws weren't even complete. Once in a while, my hard-disk shakes and disconnects from its connection slot. I have a screwdriver in my laptop bag, to take the laptop apart and reconnect the hard-disk when this happens. Unfortunately, to reach the hard-disk one needs to remove the entire back of the laptop. And why do I keep doing this instead of buying a new laptop? It's partly because I'm in love with the laptop; it's a solid Sony VAIO that has been extremely faithful till the motherboard issue that was my fault. And secondly, I have a wonderful Microsoft Surface RT tablet with 10 hours battery life and does everything I do on my laptop, except writing macros and doing heavy graphics design. Smartphones have uninstall buttons too. Uninstall applications you don't use, no matter how cool they are. This will ensure that you keep enjoying the sleek performance it had when you newly bought. Then you won't be tempted to buy another smartphone after watching an advert of how the new one is super sleek. This was what I did on my Blackberry Curve 2 and I still use it. Once in a while I feel tempted to buy the Z10, now that it's N48k. But the fact that my Curve 2 works like new helps me overcome the temptation. Read online about the creative ways you can use the gadget. One reason I find it hard to change my gadgets by buying a new and better one is that I use them creatively. I make them an active partner in running my day-to-day life. If I list the things I do (and have done) with my laptop you will be amazed. I owe the cool N150k for a 5 days UNIX training deal I got in the middle of this year to the laptop. And my phone: it's not like any other phone. Everything about it is different, besides the casing and hardware. I can't survive a day without it (well, I mean my day will be ruined without it). Creatively using your tech devices make life easier and also makes you immune to adverts of new devices. Don't buy gadgets for show-off. It's very immature. You could choose a particular phone brand because it looks extremely cool and will attract eyeballs when you pull it out. It's ok. No one wants a phone that looks like Nokia 3310. But if that's only reason you're buying the phone, then you need to contact me for a one-on-one discussion on life and it's purpose. And those summarize my approach to buying tech gadgets.